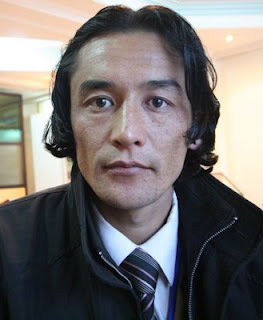 Nasim Fekrat in Kabul has been a very active blogger for years. He has an English blog, a Dari/Farsi one, and a photo blog. 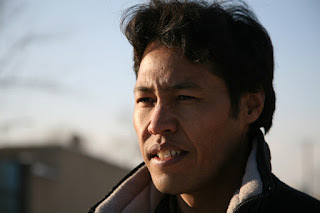 He has also contributed to several citizen media projects such as Afghan Press and Afghan Penlog. He talks with us about challenges and achievements in Afghanistan's media and new projects. Q: Please tell us about Afghan Penlog. When did it start, and what are its objectives? The Afghan Association of Blog Writers (Afghan Penlog) was established in April 2006. The main objective was to build a community to bring Afghan bloggers together from around the world and defend their rights. Recently, I have been offering online workshops for new Afghan Bloggers. In 2008, Afghan Penlog plans to teach blogging more widely in Afghanistan. I personally ran several workshops with individuals, but we want to begin teaching bigger groups. The objective of our workshops is to teach students and young journalists to blog, so they can easily start writing on the web. We don't have free media in Afghanistan, but through blogging, journalists and other people who can't (or don't want to) use their real names in Afghan media can share their ideas. Q: How many Afghan Penlog bloggers are there? Are there any non-Afghan members? In total, there are 128 members whose blogs are all listed on the Afghan Penlog website. Afghan Penlog has pages in both English and Farsi/Dari, and we welcome any Farsi bloggers to become members. There are already two bloggers from Iran. The rest of the members are Afghan bloggers throughout the world. Q: It seems in recent times that several Afghan journalists have come under a lot of pressure. Why? Well, honestly we didn't use to have a media as powerful as we have today. During the rule of the Taliban, all TV channels, radio and newspapers were shut down. There was only Radio Kabul, which used to broadcast religious songs without music, the Quran, and news from the Taliban. In the time of the Mujahideen it was worse. After the Taliban fell, within a year several magazine and newspapers started publishing. It increased every day but was still non-professional. Many journalists faced problems, and went to jail. Many others had to leave the country. The reason is the Mujahideen warlords are still in power. When journalists want to say something freely, they may be forced and intimidated by a local governor who was previously a fighter and commander. Meanwhile, the government in the capital is weak and doesn't have the ability to help journalists. The government also took serious steps towards pressuring and censoring those media which were acting independently. New media legislation is still pending. The fanatic Islamic fundamentalist figures have also influenced. They do not care what the government says, and they do not care about human rights, freedom of speech, women's rights or democracy. They consider everything through Islamic Sharia law. Q: How you evaluate the Afghan blogosphere? Well, Afghan blogs are improving and in increasing day by day. As far as my own research shows, blogs are becoming more popular in Afghanistan. It is a new phenomenon for Afghan people, and they are very interested to go for it. I meet people every day that ask me for help making a blog. The fact that we lack free media also encourages people to blog. Q: You have been involved with Afghan Press too. What is this project about? Afghan Press was built in order to give accurate local news to people abroad. I am the director. As you know, we don’t have online media to provide news to the world independently. Every day we hear bad news of explosions, suicide attacks, road bombings, killings, robberies in Afghanistan, but there is no one to provide information on social issues, women's issues, education, music, literature, culture and Afghan traditions. When I read the news, I feel sorry for myself and wonder why our country and our people are defined as violent and tough people. I want to explain through Afghan Press that we are no different from the rest of the world; that we are forgotten, and you need to remember us today. Q: Once you wrote that one of the big challenges for Afghan bloggers is the shortage of electricity. Can you explain the daily challenges that an Afghan blogger faces? That is right. We Afghan bloggers face severe conditions. We always have power outages. That is normal here. Within 24 hours we have 5 hours electricity, but also periodical outages. We need to write our posts on paper and wait until the power comes back. Whenever we type and save something to a memory stick, we must walk a distance to access the internet. Probably this will take one hour or less, but we have to deal with this every single day. Bloggers in Afghanistan are really poor, and I am sure international organizations could help us. I am asking anybody reading these lines, please help us to promote blogs and digital media in Afghanistan. I believe, if we don’t develop modern media, we will not be able to provide information out of Afghanistan. We need international help. In order to build this country, we need to inform people, teach the people and guide them. We, the Afghan Association of Blog Writers, are asking people to help us promote blogging in Afghanistan. Second-hand computers, laptops, cameras and flash disks would be a big help. Q: Is there anything else you would like to share with Global Voices audience? I feel truly lucky to have been giving this chance by Global Voice Online to share my views with its readers. I am very interested in Global Voices and always read the stuff in there, so keep up the hard work. I would like also ask Global Voices to participate and help promote Afghan blogs. I was informed by Reporters Without Border by e-mail that Basir Ahang is safe and he is in Italy right now. I have also contacted people who know Basir, through his friends I found his family who are living in the west part of Kabul. Today I called to his parents and asked them about their son Basir, they assured me that Basir is safe and living in Italy. Basir Ahang was working as freelance correspondent for a local channel Radio "Farda" and at the same time he was working as freelance journalist with the weekly "Namah" and the La Repubblica. “Basir was severely depressed and he was always feeling fears when he returned back to his country from Iran. My son was received several threats from unknown addresses” his father said. "Before he come to work in media he was working with the US special forces in Kandahar in the southern region. He stopped working when his colleagues have been killed by Taliban and he came to continue his studying. In the mean time he started working with local media". His father added. This a good news for journalists and Afghan Association Blog Writers which was already expressed its deep concerns towards his safety. There is also a good news about Mr. Parwiz Kambakhsh that he will be released soon.